Since the announcement of the 2040 ban on new petrol and diesel cars, all you read in the news is about how we're all going electric. So if that's the case, which is the best electric car to buy? 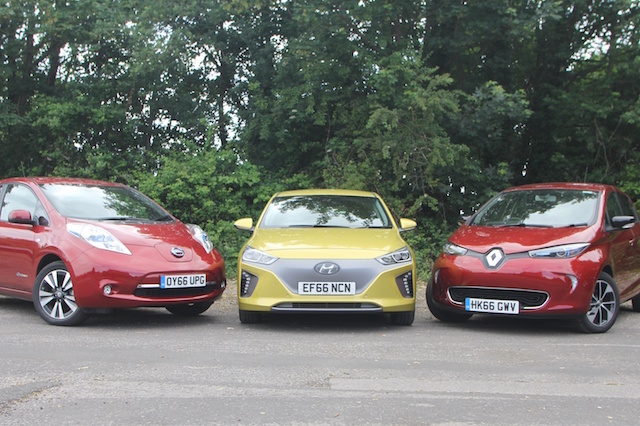 We chose three [EVs] to test - a Renault Zoe, Hyundai Ioniq and Nissan Leaf. The Ioniq is Hyndai's first attempt at making an all-electric car, and it's very good. Next is the Renault Zoe, a great-looking little car with bags of character on the exterior alone. Step inside and it's also a funky place to be. It also features the best-claimed range of the three EVs, with 250 miles on the NEDC cycle thanks to its new 'Z.E. 40' battery. The Renault is the best looking of the bunch. Its chic Parisian styling blends well with modern life and makes it look more premium than it actually is. However, this doesn't quite continue inside. Although the cabin looks chic, it feels cheap, with the plastics belonging in a cheap supermini. In terms of space, all three are roughly the same, offering ample leg, head and luggage space and a plethora of cubbyholes throughout the cabin. The Hyundai feels a tad better than the other two, and has a fairly decent-sized boot at 350 litres – enough for some suitcases or a weekly shop. You can probably fit the family dog in there too. The Zoe feels slightly smaller in comparison, but is more of a hatchback compared to the Ioniq's saloon looks. It has a marginally smaller boot at 338 litres, but this would definitely be enough on a daily basis. The Nissan Leaf boasts the largest boot at 370 litres. It also has a fairly large cabin, which can easily accommodate four adults. The Hyundai Ioniq feels the best by far to drive. This is largely down to how composed it feels on almost any road surface, largely due to the fact that it's the most composed. It also has a touch more power than the other two, managing 0-60mph in 9.7 seconds, while the Nissan and Renault manage 60mph in 11.3 and 13.3 seconds respectively. The Ioniq might be the most refined of the three, but really they're more for inner-city driving rather than motorway cruising, especially the case with the Nissan which seems to take an age to actually get up to any speed. Zoe Dyamique Nav R90 ZE40 test car costing £19,295 - with a government grant. On board you find a surprising amount of equipment including satellite navigation, Bluetooth connectivity, rear parking sensors and 16-inch alloys. satellite navigation and a rear parking camera to name but a few. The Nissan Leaf was the most expensive of the three, and is the least value for money. The Tekna model we drove cost a staggering £27,790, with none of the car reflecting such a price tag. The standard equipment may consist of leather upholstery, heated front and rear seats, satellite navigation and Bluetooth connectivity, but its hard to justify when it all feels so old-fashioned. 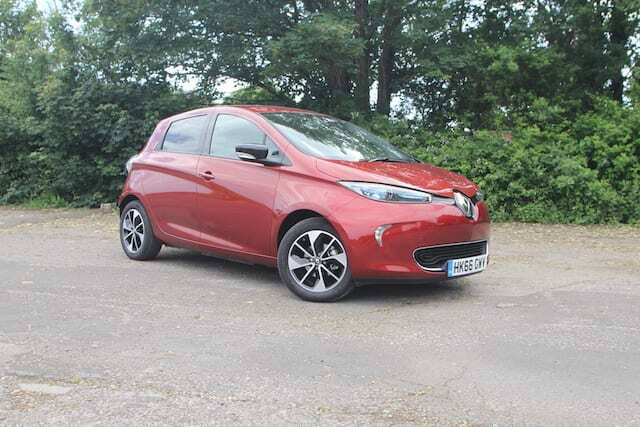 From the three we have tested our pick would be the Renault Zoe overall in terms of value-for-money. But for everything else the Hyundai Ioniq wins hands down. It's refined, comfortable, easy to drive, easy to park and above all excellent value for money. At the other end of the spectrum is the Nissan Leaf, which we'd struggle to recommend. However, a new Leaf is on its way which looks to be a much more impressive car.